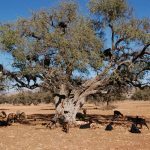 The best destination of Morocco for a desert expedition whether in a 4×4 car or by camels and dromedaries. Morocco’s famous sand dunes are Erg Chebbi near Merzouga and Erg Chegaga near Zagora and & Mhamid. 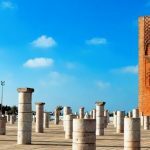 In this page we focus on Erg Chebbi sea sand, Merzouga, Rissani and Erfoud. 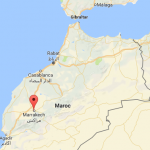 The highest and most impressive sand dunes in Morocco can be reached from Marrakech, Fes and Ouarzazate. 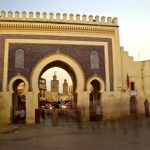 Please check our Morocco Desert Tours for a well organized Sahara tour that will save your time and erase your worries. 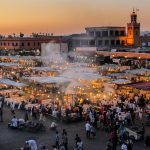 If you are driving your rented car from Marrakech or Ouarzazate through the Todra Gorges you will pass by Erfoud which is a city base for sunset/sunrise excursion in a 4×4 for most tourist buses and also if you are coming from Fez through Errachidia. 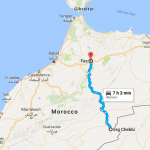 In case that you prefer to drive your normal car from Ouarzazate via Agdez, N’kob, Tazarrine, Alnif you will pass by Rissani and Merzouga village. 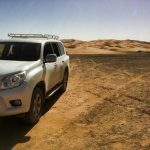 You can arrange for a 4×4 pick up and transfer to Erg Chebbi with us. From the hotel at the edge of the dunes. You can take a camel trip and overnight in the Sahara Desert. You will trek on a dromedary for an hour and half onto the dunes to watch the sunset. 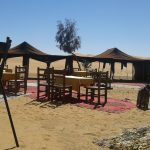 Then continue across the sand dunes of Erg Chebbi to reach the camp to spend the night in Nomad Berber tents and enjoy a traditional dinner. Enjoy drum party and browse the starry night sky. In the next morning, get very earlier to see the breathtaking sunrise. After breakfast, the caravans will transfer you back to the hotel over the dunes for shower. Take a camel trip in the Sahara Desert at Erg chebbi. You will trek on a camel for a 1/2-hour onto the dunes to watch the sunrise. 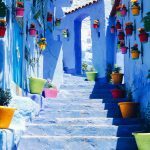 Climb to the top of a dune and see the amazing view of the sun rising up over the Algerian border. Experience the calm and silence of the desert. Return back to the hotel located on the edge of the dunes for your morning breakfast. 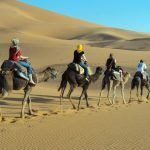 From the Auberge located on the foot of the dunes, you will take a short camel ride for 1/2-hour to dive into the sea sand to reach the biggest and highest dunes for a wonderful view of the sun setting up while admiring the calm and peace of Sahara. Return to the Auberge to enjoy a delicious dinner or spend the night in a room or in the nearby tents.